The driver of the vehicle shall be considered as the user and all transactions will be executed between the user and Just Drive. The user shall be solely responsible for any damages (including accidental death) done to third party will driving Just Drive vehicles. Just Drive shall take no responsibility for any actions of the user. Just Drive shall not be responsible for any dealing of the user with any third party. User shall be responsible for all of his/her belonging. Just Drive shall take no responsibility for any loss or damage to user belongings. The user must be above the age of 18 years. However, certain vehicles are provided at the minimum age of 21 years. Minimum Age for Suzuki Hayabusa Sports bike is 23 years. The user must have a valid driving license issued by the Government of India. The user must scan his/her license and upload it on our website. The user must carry his/her original DL & Alternate ID proof at the time he/she takes possession of the vehicle. Documents issued by the government of India such as Voter ID, Driver’s license, PAN card etc. will be considered as valid ID proof only. If a user is unable to verify his/her identity, the booking shall be considered void by Just Drive. Just Drive does not charge any security deposit car bookings. Just Drive reserves the right to withdraw zero deposit offer from a user account in event of any accident or non-payment of dues. The user can take possession of his/her vehicle from Just Drive pickup points. Please find a list of Just Drive pickup Points on our website. If a user opts for home-pickup, a charge of Rs.250 will be levied. The minimum duration of booking for home-pickup is 6 hours. The user must return possession of the vehicle at the pickup point from which it had been hired. 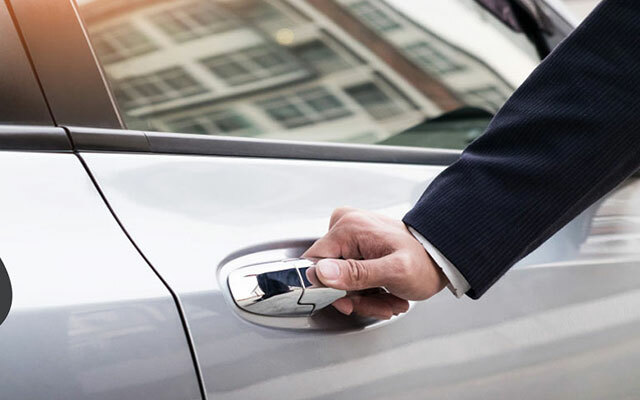 The Rental Period will be calculated from the time the user takes possession of the keys till they are returned to a Just Drive representative at the pickup Point. Minimum booking duration for a car is 4 hours when booked. Charges will apply on the time period for which the vehicle has been booked by the user as per rates given on the website. Fuel cost to be borne by the user. a. User will have to handover the vehicle with the same amount of fuel which was provided at the time of pickup. A penalty of INR 100 will be levied if the customer fails to do the same in addition to the cost of fuel difference between handover and drop-off. There is no distance limit on the number of KMs the user can drive. Per Hour charges will be applicable based on the vehicle model. User can refer to tariff page on the website for Per Hour charges. However, maximum distance limit for Suzuki Hayabusa is 50 kilometres. Penalty charges apply in case the user retains the vehicle beyond the rental period for which the vehicle has been booked by the user on the website. Damage charges apply in case of damage to the vehicle, it depends on the severity of the damage. However, the maximum liability that the user is liable to pay in case of a major damage is INR 10,000. Towing cost will be charged extra. a. The user is liable to pay for any traffic rule violation. b. In the case of speeding beyond 100 Km/h in case of cars the user will be notified by SMS and a penalty of INR 1000 will be levied for every offence. Maximum charges for over-speeding is INR 1000. However, maximum speed for Suzuki Hayabusa is 140 km/hr. penalty shall levied is speed limit is violated. c. In the case of loss/damage of vehicle accessories such as AUX cable, charger, etc. a penalty charge of Rs.150 will be levied per accessory. In case of loss or damage of GPS devices, charge will be levied as per MRP (Inclusive of Fitting charges) of the device. d. Cleanliness charges will be levied to the customer in case the vehicle is found to be dirty. Cleanliness charges will depend of the level of uncleanliness up to a maximum of Rs.1200. e. INR 500 will be charges for damage to Just Drive Stickers affixed on the vehicle. f. The user will be charged INR 5000 for carrying any kind of objectionable material in the vehicle including Alcohol, Fire Arms, Drugs or any other material prohibited by the Indian Government and its Laws. Just Drive vehicles can be used only in the Republic of India. Use of the vehicles is subject to the laws of India. The vehicle cannot be driven in areas where entry is prohibited by the central or state government. The user must ensure that the number of passengers in the vehicle does not exceed the seating capacity of the vehicle. In case of non-compliance, the entire sum of security deposit will be retained by Just Drive. The vehicle cannot be used for any activity which is deemed illegal by the Indian Penal Code. The terms of vehicle use listed above are non-exhaustive. Any activity judged inappropriate by Just Drive in its sole discretion will be deemed as a violation of agreement. Illegal use of the vehicle will be reported to the concerned authorities by Just Drive followed by the suspension or termination of service immediately. a. A penalty of INR 50,000 will be charges if Just Drive Vehicle is used for any unlawful activity under the Indian Penal Court. Any activity judged inappropriate by Just Drive in its sole discretion will be deemed as a violation of agreement. The contract shall be deemed terminated with immediate effect. All charges as per contract are inclusive of GST charges. Toll tax and other charges will be borne by the user. If the user wishes to extend the rental period, he/she can contact Just Drive. Home Booking rides extension is not possible within 4 hours of selected end time. Please note extension of rides is possible only in the case when there is no subsequent booking. For extending beyond 6 hours, the user must make the payment before extension is approved. Just Drive offers GPS navigation and child safety seats to its users. A delay of 15 minutes over the rental period is permissible for the return of possession. In the case of further delay, for the first two hours: (INR 500 + double the hourly charge) will be fined and for subsequent hours: (INR 250 x late hours + double the hourly charges) .The charges for the time period of delay will be calculated as per usual rates given on the website. We are doing this to protect next user's ride experience. Just Drive shall provide a replacement vehicle in the case of vehicle failure. This is subject to vehicle availability. Just Drive does not permit the user to take on board objectionable items such as weapons or any sharp object which may spoil or cause damage to the upholstery or the exterior of the vehicle. An additional surcharge of 20% will be levied on the cost of repair or cleaning the vehicle. Just Drive does not allow multiple accounts having the same license. In such cases, Just Drive reserves the right to cancel the booking. Additionally, on account of user behaviour, Just Drive can block certain licenses from booking. If a blocked user is found to have made a booking, the booking will be automatically cancelled. All cancellation charges will apply.